A20 systems give the user the flexibility to perform test and simulation tasks with various levels of complexity by using a standalone device up to a sophisticated networked multi-device system. A20 solutions are fully integrated in a mobile rack – of different heights – equipped with wheels and retractable legs for rapid and easy deployment on land, on shore or on board a vessel. The rack is certified according to MIL standards for vibration and shock. It can be equivalently placed on board a ground vehicle and operated on-the-move. The rack encloses a proprietary air conditioning system, able to maintain the operational temperature and humidity conditions inside the rack in a tactical (land/sea) environment (system is certified according to MIL 461F). 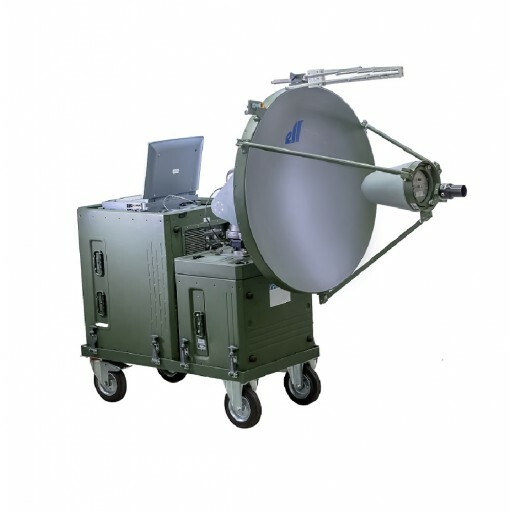 For this aim A20 includes own or third party’s signal generators or DRFM-based repeaters, with the necessary power amplification stage, RF switch matrix, BITE circuitry, and PC-based work post.